My review of Michael Mina’s restaurant SF. Need a haircut or beard trim? The Groomed app brings Barbers to your location! Click above to learn more & download the app. Repair, Refresh, and Restore your hair extensions! Check out my cousin’s cool blog below. 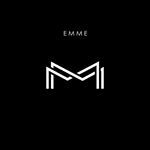 Emme.Life. Click to follow this blog and receive updates of new and interesting posts from Browngirlspov.com. Do it!